Last edited by Gem]n[ on Tue Apr 29, 2008 10:44 am, edited 1 time in total. 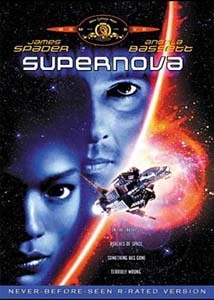 there's that resilient supernova again. and this one doesn't even have luke perry in it! anyway is it too late to grab these gem? How come the screen size stays the same when I crop the movie (by 6 pixels in height) in AutoGK ... does that program compensate for the cropping by expanding the movie in some way to cope with the removed 6 pixels leaving the aspect ratio the same? It should actually be as close as possible to the original aspect ratio, whatever that might be cropped to actual movie content and not with black borders (it's a shame doing bad crops not only cuz some ppl complain then but also cuz it's a total waste bitwise) 16:9 & 4:3 FS rips are also valid for originally anamorphic movies but should be noted that in the file name if such is the case.... yada, yada... it's a lot to know but you'll get used to all that eventually (most of it makes total sense less some scene rules crap like file sizes being either 350 or 700 megs for most TV series out there when almost nobody uses CDs anymore or have burners with an overburn feature anyway). Last edited by Gem]n[ on Sat Feb 16, 2008 7:19 pm, edited 1 time in total. you can follow the guide at doom9.org, but if you don't actually know what all of the settings mean, then you're just as much a trained monkey as using autogk but with more steps to run though. imo.